Join us for "Honu by the Sea" on Sunday, June 7, at 1pm & 3:30pm in Baird Auditorium. Credit: Charome Kaocharoen. 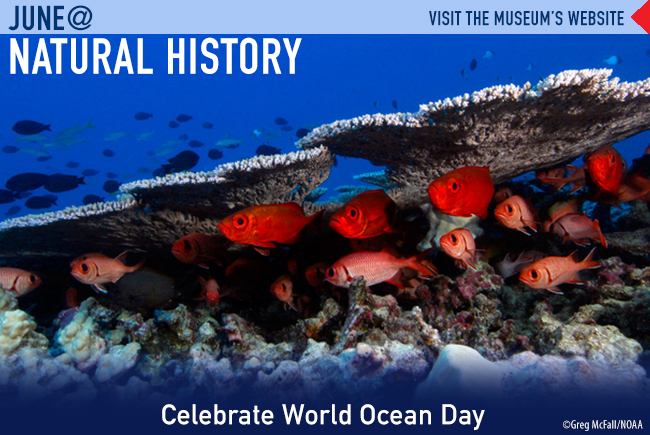 World Ocean Day activities extend over two days at the Natural History Museum. Meet ocean experts and explore ocean science with interactives throughout the Museum. Appreciate the ocean's beauty and express yourself through art. Come see "Honu by the Sea," a family-friendly underwater musical, watch ocean films, and see cartoonist Jim Toomey create his marine comic strip, "Sherman's Lagoon." Join us during Pollinator Week to celebrate the valuable ecosystem services provided by bees, birds, butterflies, bats, beetles and other animals, and the plants they pollinate. Learn how you can help pollinator conservation efforts, and participate in a citizen science project to transcribe our bumble bee records. The Sant Ocean Hall. Credit: Chip Clark, Smithsonian Institution. Explore 647 marine specimens and models in the National Museum of Natural History's largest exhibition, The Sant Ocean Hall. The 23,000-square-foot exhibition is home to a precise replica of a 45-foot-long North Atlantic Right Whale, a rare giant squid specimen, and a 1500-gallon aquarium featuring a live Indo-Pacific coral reef ecosystem. More > Find your blue on the Ocean Portal, a website that focuses on everything ocean – unusual and everyday organisms, ocean-inspired art, researchers devoting their lives to exploring the still mostly mysterious ocean, examples of positive actions people are taking to protect the ocean, and ways for you to get involved. Live Webcast: How Have Cellphones Changed Our Lives? Join Joshua A. Bell, an anthropologist at the National Museum of Natural History, for a live webcast, "Unseen Connections: A Natural History of the Cellphone." During this interactive event, Dr. Bell will reveal the global impacts of cellphones, exploring their social and environmental connections to our lives, and he'll answer your questions. View the webcast live at qrius.si.edu/live > Miss one of our live webcasts? Now you can access all of our past Smithsonian Science How programs and bring a Smithsonian expert into your classroom or home whenever you want. Choose from a wide variety of science topics, including ocean biodiversity, mass extinctions, forensic anthropology, and volcano geochemistry. Experts are in Q?rius and Museum exhibition halls every week to talk with visitors about current research. Credit: Christopher Mah, Smithsonian Institution. Two species from a new family of sea stars have been discovered living in deep-sea environments near hydrothermal vents -- one in the Southern Ocean and another in the North Pacific. In a recent blog post, Smithsonian research associate Christopher Mah discusses the species and the international research team that discovered and described them. Read more in the Unearthed Blog > Research zoologist Carole Baldwin and a growing team of collaborators have discovered over 30 new species of invertebrates and small fishes off the coast of Curacao. By monitoring the region's reef, collaborators in the Deep Reef Observation Project (DROP) continue to gain insight into the area's biodiversity. The biodiversity in the ocean and pollinators on land need your help. Donating towards the Museum’s research, collections, educational programs and exhibitions help you, scientists, and the public track the health of the ocean and the pollinators. Together, we will understand and then save both life in the ocean and on land. Consider volunteering at the Museum! Many departments would be glad to have you as a volunteer. Teach young people in Q?rius. Explain pollinators to visitors in the Butterfly Pavilion. Work in the world's biggest collection of fossils. 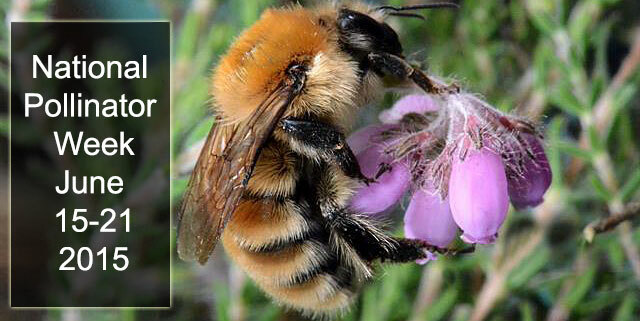 Transcribe bumble bee records, which track these important pollinators, into digital records. Photograph by Greg McFall, National Oceanic and Atmospheric Administration's (NOAA) Ocean Service. 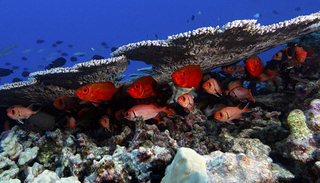 Fishes and coral at Rapture Reef, French Frigate Shoals, Papahānaumokuākea Marine National Monument.